Outstanding drama, music and dance classes and parties for young children living in Canberra, Australia. Lucy Sparkles & Friends provides outstanding drama, music and dance classes and parties for young children living in Canberra, Australia. 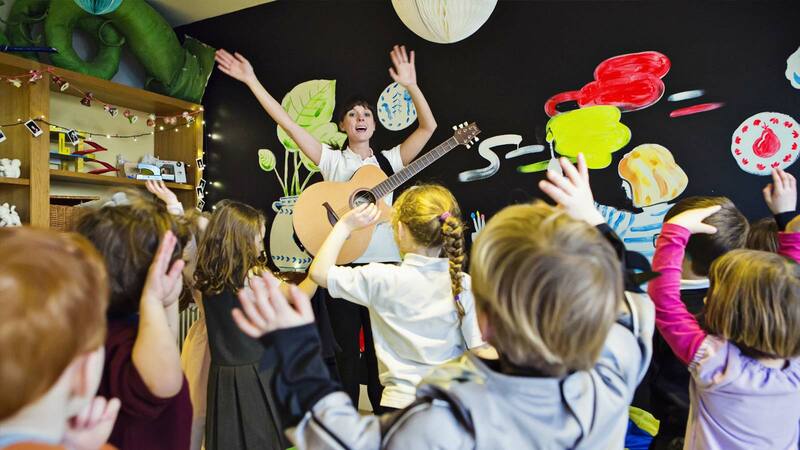 Whether weekly and progressive or for special occasions, classes can be held in preschools, kindergartens, schools, private settings and at open venues. Find your nearest class here and learn about our school holiday workshops here. All of our lessons are linked to the Early Years Learning Framework for Australia. Experience Lucy Sparkles & Friends for yourself for just $5*. *Childcare services are required to pay a $25 booking fee for free trial sessions booked in advance, which is deducted from the cost of the second session if subsequent sessions are booked. If you are not satisfied with the trial session, we will fully refund your booking fee. There is no booking fee for children attending a free trial at an open session with their parent or carer.